Like all investments it pays to do your homework before you take the plunge into property investment. But even with uncertainties around interest rates, a sound strategy can pay off. The shortage of rental properties, combined with rising prices in most markets, means that if you choose the right property and make sure you keep a close eye on your investment, you could reap the rewards. The Australian Tax Office’s Guide to Investments – Real Estate Properties provides useful advice to keep you up to date and in the know. Our office is a high profile rental and management office and therefore attracts large numbers of prospective tenants. At RE/MAX Property Specialists our job is to get the best possible tenant at the highest possible price for your investment property. It is not enough for us to know that your tenant is capable of paying their rent on time. We ensure they have stable employment history and that they have the ability, and desire, to maintain your property at a high standard. We also ensure that all prospective tenants undergo complete reference checks. 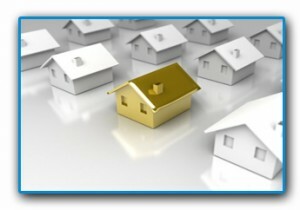 This includes the use of the national tenant database Trading Reference Australia. Once a tenant has been approved for your property, we will arrange the signing of the Residential Tenancy Agreement and the lodgement of the Rental Bond as well as the transfer of all keys. Prior to the signing of the Residential Tenancy Agreement, we will carry out a carefully detailed condition report of the property as well as taking photographs and videoing the entire property. These are kept on the file and referred to at the end of the tenancy. Paying rent is hassle free for our tenants. They are able to pay by cheque or DEFT which is available 24 hours a day, 7 days a week. Our computer system is programmed to print an “arrears report” which shows any tenants who are behind in their rent. The printout shows the property address, the tenant’s name, phone number, the date the rent was due, and how much rent is owed. These reports are printed every day, so that tenants who fail to pay their rent for whatever reason, are contacted on a regular basis. Those that do not respond to a phone call or reminder letter, are served with a warning letter, explaining that if they fail to pay, or do not contact our staff to make arrangements to pay, they will be served with a Termination Notice which gives them fourteen days to vacate. This is usually sufficient incentive to get most tenants to pay their rent. However, should this warning letter fail to bring results, our staff contact the landlord to discuss the matter and whether to proceed with termination. Included in our management fee are quarterly inspections of your property. Each time your property is inspected we will forward you a written report detailing the condition and any recommended routine maintenance or optional work such as repainting or re-carpeting. We welcome any comments on the inspection. We monitor repairs very closely and will only arrange repairs when approval has been granted by the landlord. However, should a repair of a more urgent nature be reported, such as no hot water, we need to attend to this as soon as possible as it is an essential service. We maintain complete records of maintenance carried out to your property for future reference. Repairs carried out on your behalf are paid from your rent monies held in trust. Full details of repairs are printed on your monthly Rent Statement with a copy of the relevant invoices attached for your reference. From the rent collected on your behalf we can arrange payment of all the statutory accounts as you instruct in the Management Agency Agreement. Such accounts could include council rates, water rates, body corporate levies and insurance. With reference to water rates, we will automatically invoice the tenant for any water usage charges where the property is separately metered and has approved water saving devices installed. We ensure you enjoy full market rental for your property. We regularly assess the rental on your property taking into account factors such as the current market rents, the vacancy factor in the area of similar properties, the general condition of the property and the quality of the tenant and length of their tenancy. It is our duty as Property Manager to ensure that the tenant is well educated as to what is expected of him/her under the Tenancy Agreement. From the regular mowing of lawns, to the payment of rent in advance, to the behaviour of visitors to the property, or the control of noise, we manage the tenant for you ensuring as much as possible that the terms of the Tenancy Agreement are complied with. Each month we prepare and forward you a detailed monthly Rent Statement for your property. The statement details the rent period and rent collected, disbursements and sundries. Your rent monies can be automatically deposited into a nominated bank account or alternatively a cheque can be attached to your statement. Disputes between landlords and tenants are not uncommon, but if handled with professionalism and diplomacy most can be solved expediently. Most disputes arise over rent increases, repairs and rental bond matters. Initially of course, the Property Manager acts as negotiator in discussions between the landlord and tenant. If all avenues are exhausted, and the parties have not been able to agree, it may be necessary to apply for a Residential Tenancies Tribunal hearing. The Tribunal is an independent third party which will hear the dispute and make a decision in the matter. The cost of applying to the Residential Tenancies Tribunal at the moment is $26.00 to the landlord or tenant, whoever makes the application to the Tribunal. We, as agents represent the landlord at the hearing, preparing the case from start to finish. Preparation may include obtaining quotes and taking photos of the property (in the case of bond disputes) or researching the rental market comparisons in the case of disputes over rent increases. The findings of the Residential Tenancies Tribunal are final, and may not always be to the landlord’s satisfaction, so it is almost always beneficial to try to solve the problem in the initial stages. Our office provides you with, an Annual Income & Expenditure statement with costs $27.50 including GST during the month of July which gives a summary of income and expenditure for the financial year. This will save you time and money when preparing your income tax return. It is our opinion that as an efficient organisation striving to offer the highest possible service we should always be available when the client wants us. Therefore, our office is open six days a week and staff members can be contacted 24 hours a day by calling their direct office lines. This ensures that when you want us we will more than likely be there (or at least accessible) to serve you. It is our duty to ensure that all the requirements of the various pieces of Government legislation relevant to the property investment are complied with. The Tenancy Agreement prepared by us contains several additional clauses which are allowable by law to protect your interests. We can also advise you on the legal aspects of insurance matters and repairs, if required. Our office is a member of the Real Estate Institute of New South Wales. Our Property Management Department is kept up to date with the latest information from the Institute and with market statistics from the Rental Bond Board as well as updates from the Residential Tenancies Tribunal, and belongs to the Property Management Chapter of the Institute. Our Property Management staff are put through on-going professional development training to ensure that their knowledge and skills are always at the peak of the industry. Our commitment to you is that we will look after your property as if it was our own.